There’s a saying out there that every song has been sung, every story has been told and that now we are just making variations on that same initial set of artistic statements. 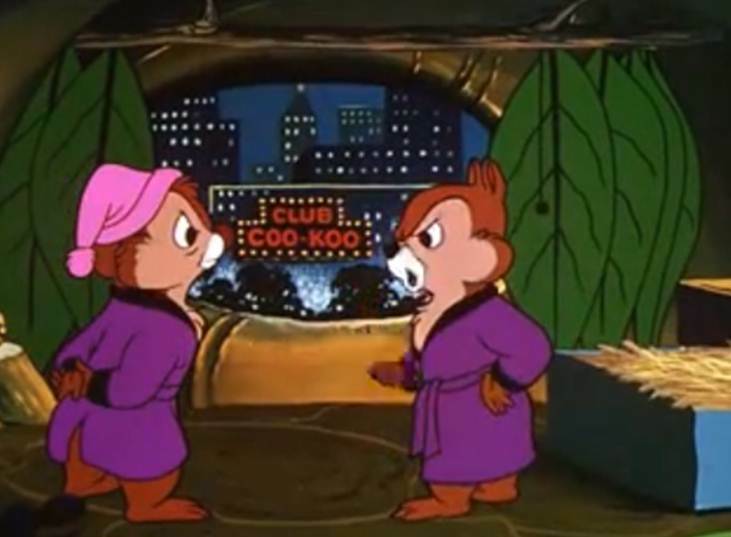 The makers of Two Chips and A Miss must have believed it, because this is basically a Tex Avery Red Riding Hood film mashed together with the Country Mouse/City Mouse shorts. 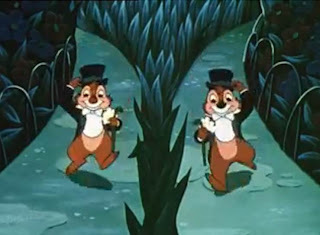 Throw Chip and Dale into a blender with those elements and you’ll come up with what becomes Two Chips and a Miss. The title is one that doesn’t really make much sense, since there’s actually only one Chip, but I digress. The basic plot here is that both Chip and Dale want to pursue a female chipmunk, but neither wants to deal with the other. So, rather than offend the other, each concocts a way to sneak out of their treehouse and into a club in the city to meet the girl. It doesn’t take long to run smack dab into a scene from Riding Hood and the wolf from the Tex Avery cartoons. All the tropes are there. 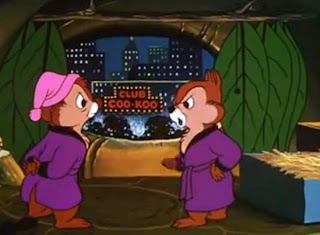 The chipmunks fight over the girl, turn into wolves when she makes a seductive move and generally make fools of themselves throughout the proceedings. 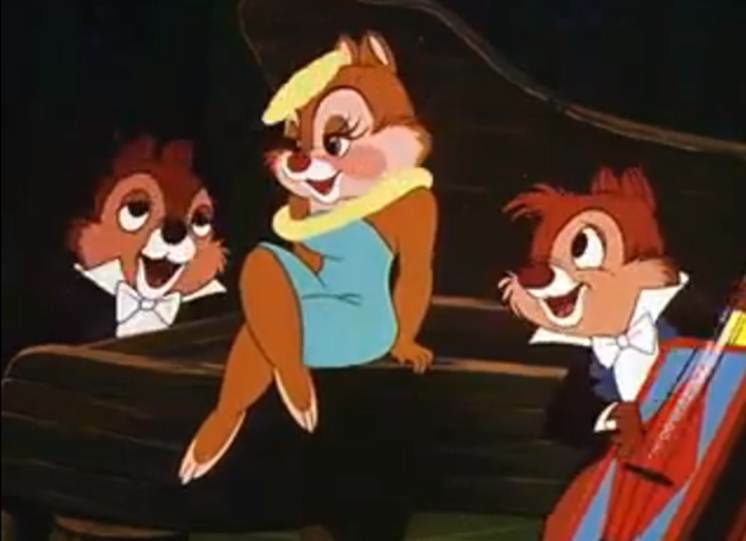 For modern audiences, it would be akin to watching the Jessica Rabbit scene from Who Framed Roger Rabbit?, but it was definitely inspired by the classic Tex Avery shorts. The chipmunks, who have never had this sort of lustful interaction before, don’t make a particularly good subject for that sort of humor. 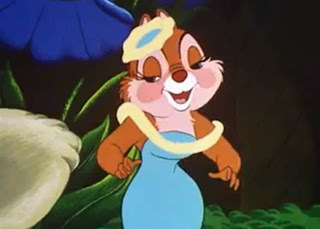 When watching, it doesn’t seem like there was a well thought out plan for this short beyond “let’s do something where the chipmunks fight over a girl.” The gags are rather flat, and they don’t go much beyond the cheap eyes wide open, drooling over the girl stuff you’d expect. 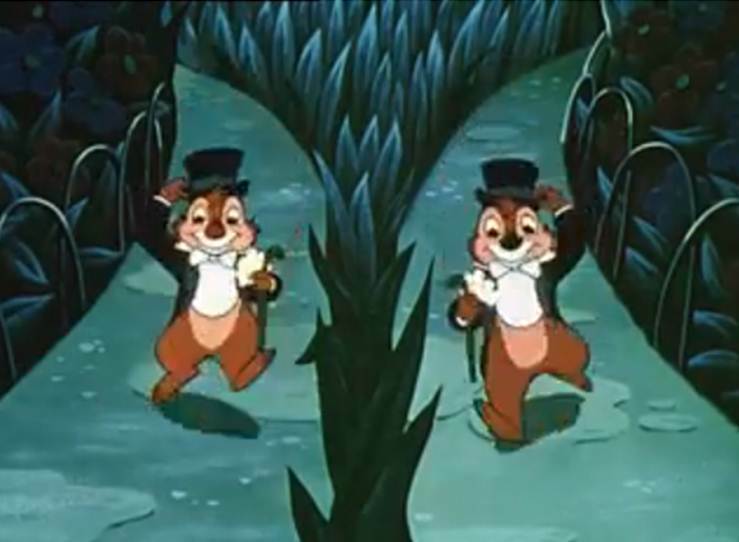 To be fair, Chip and Dale are hard characters to really do a lot with, since their primary goal in life is to steal food from Donald, at least as their early appearances go. Having them as a solo act doesn’t work, as they need an antagonist to make their travails worthwhile. In the end, Two Chips and a Miss comes off as what I expect it was, an attempt to create a competing cartoon for some of Warner Bros. best. It’s something that seems like part of a pre-packaged group of shorts that Disney just needed to produce. Two Chips and a Miss is definitely a miss, not one of Disney’s best. Ouch. I don't what's worse this awful review of what I considered one of the best Chip N' Dale shorts or the fact that the Disney Film Project had to do an episode of "Star Wars" which I still don't consider as a Disney movie (even if the podcast was good).